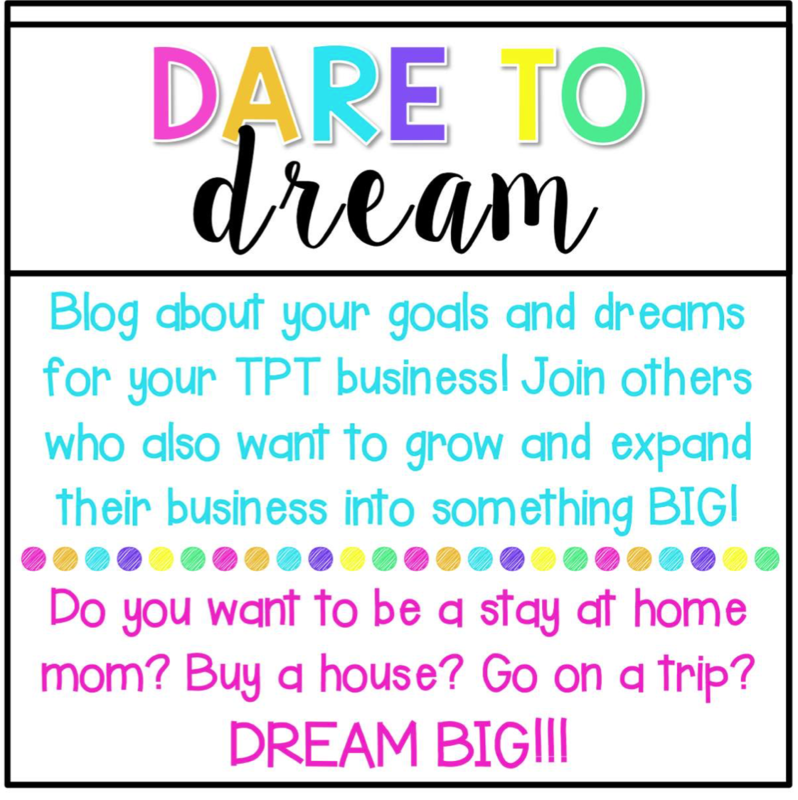 It's week 2 of the TpT Seller Challenge and this week the focus is Dare to Dream! And you can join in! Find all the details by visiting one of the blogs below! 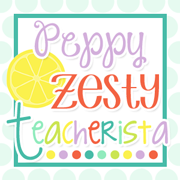 When I began my TpT journey nearly 3 years ago, I was very modest in my goals. Since then, with the continued success of my store, I have gradually updated my goals. And now I am encouraged to Dream Big! Well, here are my dream goals for my TpT journey! This is a common theme for most sellers - pay off debt! And I have my share of it! I am slowly paying off dental bills and other credit card debt, and I hope to increase the payments so I can pay it off faster. 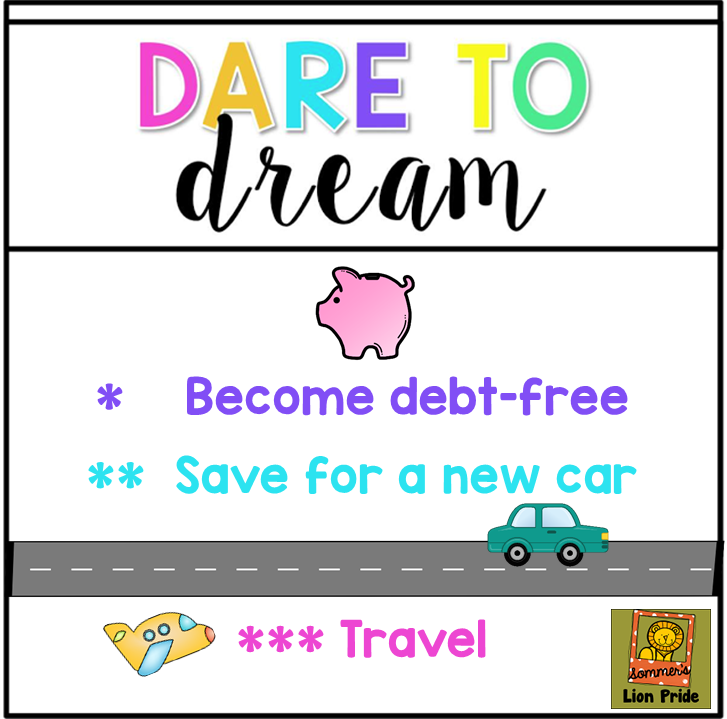 I am hoping to be debt-free in 24 months! I live in Southern California and I NEED my car! I commute from Orange County to Los Angeles for work and put 70+ miles on my car per workday! My current car is getting closer to 150,000 miles and I know that it is only a matter of time before I will have to buy a new car. So I am hoping to put aside a little money each month into a "new car fund." I would love to be able to travel more. I traveled a lot when I was a child, and when my kids were younger we would travel a couple times a year. But now that they are adults and doing their own thing, I haven't made it a priority to travel. So I am changing that now! 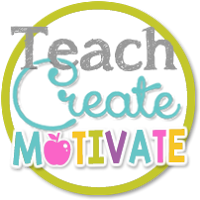 What are your TpT goals? Although one of my goals for this particular challenge was not to become debt free it is definitely something I'm working towards as well! It can be very difficult and challenging but it's only going to lead to bigger and better things (like traveling!!) down the road! It will be such a weight off of your shoulders (and anyone else striving for the same goal) once it's finally accomplished! Good Luck Kay! 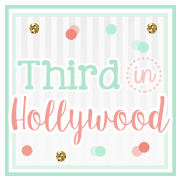 Your blog is super cute! I am so glad I found it. I have travel as one of my goals too. I would love to be able to take a vacation completely funded by TPT! I am also a kindergarten teacher so I checked out a few of your other posts, I love your thinking maps for Chester. I am pinning it so I remember it for the beginning of the year.